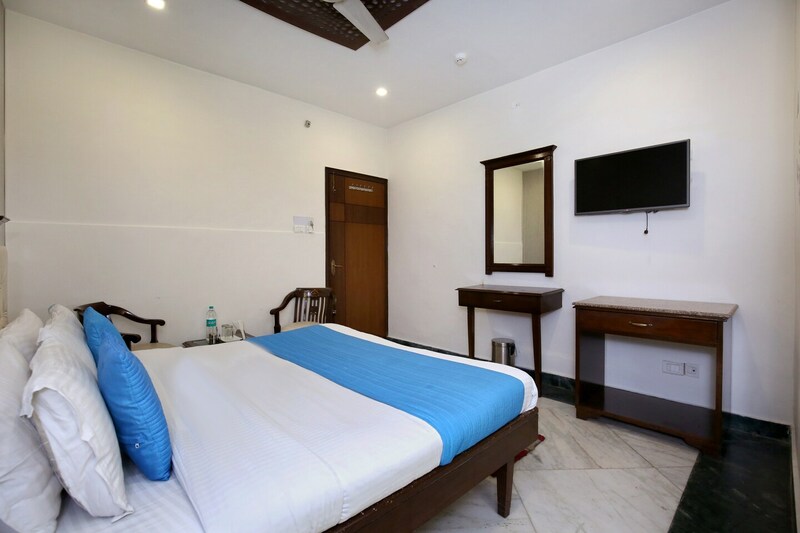 Hotel Multitech offers fine accommodation for guests visiting Chandigarh. The spacious and well-furnished rooms ensure a pleasant stay of the guests. The overall decor is done in sober shades and the furniture adds a contrast to space, making it appealing. The cushioned headboard adds to the comfort of the guests. The well-furnished seating area can be used by guests to relax and unwind. Power backup and CCTV cameras ensure the security of the guests. Free Wi-Fi service ensures guests stay connected to social media or can catch up with pending work. Parking facility is also available in the hotel. Guests can also enjoy delicious delicacies at the restaurants nearby.